Send and you shall receive. Your customers can pay more securely with the click of a button, without sharing their financial information when they pay. Fill in the form with the description and the amount. Preview your request and hit send. We'll deliver it. Get an email when it gets paid and get the funds on your PayPal balance in a few minutes. 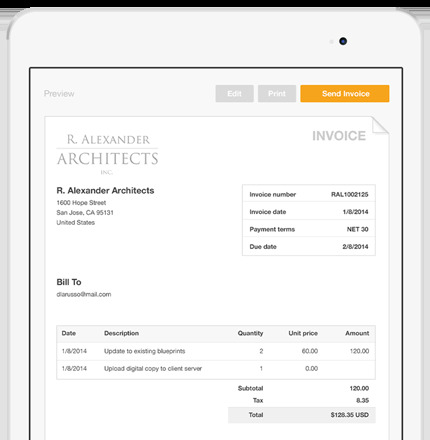 When you send an invoice through email, the customer can pay in minutes. It's convenient, faster and safer. You only need your customers email address to email an invoice. They'll just need to click the payment button inside the email to pay you with their card or PayPal balance. "Waiting for cheques to arrive in the mail or taking card details over the phone was a nightmare for customers and for us." Once your customers pay you, the funds appear in your PayPal account in a few minutes. If you wish, you can withdraw them to your bank account. million PayPal has million active accounts in 202 countries and regions around the world. You don’t pay until you get paid. With our transparent pricing, you won’t be surprised by hidden fees. We apply standard rate for receiving payments for goods and services and we also offer discounted rates when you sell more. When you sell internationally, there are additional fees for currency conversion which vary depending on the currency you’re receiving.